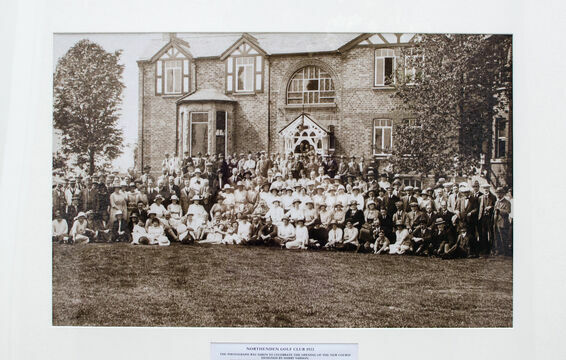 Northenden Golf Club was founded over a century ago and now, tragically, its long and distinguished history includes the destruction of the clubhouse by fire in October 2014. This event prompted many members to recall events of the past and it seemed appropriate to record them at that juncture in time as the next phase in the club’s history began with the construction of a new clubhouse. In January, 1913, Northenden Golf Club was registered as a limited company and, during that year, great progress was made to construct a course and establish a clubhouse in what used to be called the ‘Riverside Tea Gardens’. The course opened the following year but the onset of the First World War stalled further development. When the war finished the club prospered and a commission to redesign the course was accepted by Harry Vardon (he of the Vardon grip). Its completion was officially commemorated by the membership in 1922 and that course was then to serve the club for half a century. 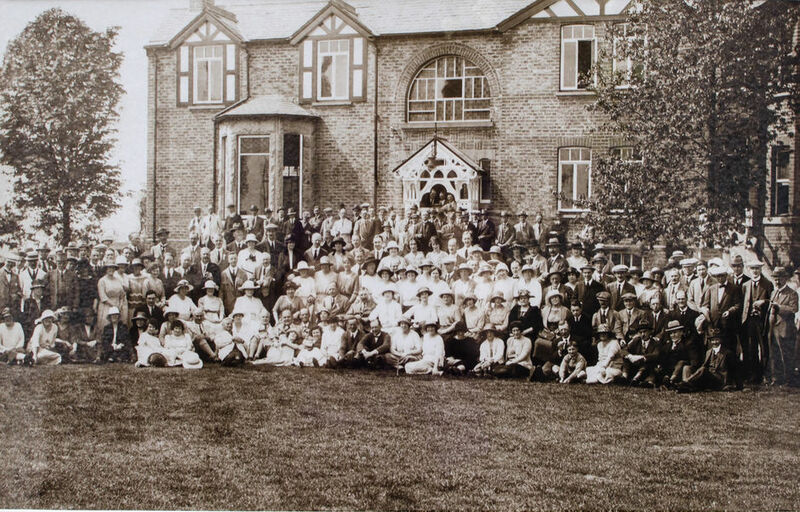 The Riverside Tea Gardens, however, served as the clubhouse only until 1935 when it was replaced by the original form of the recently destroyed building. 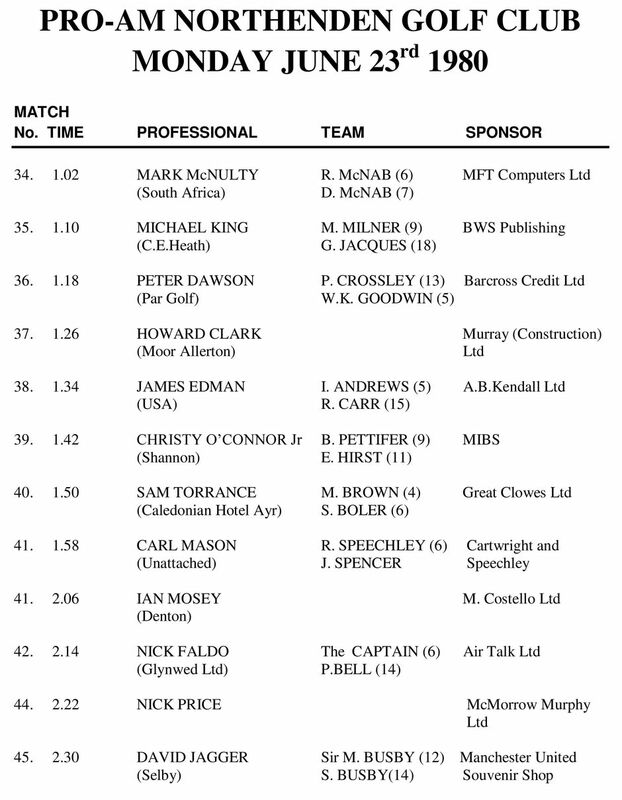 The proximity of the club to the River Mersey caused persistent problems of flooding and these were certainly not helped by two bombs falling on the course in 1941. 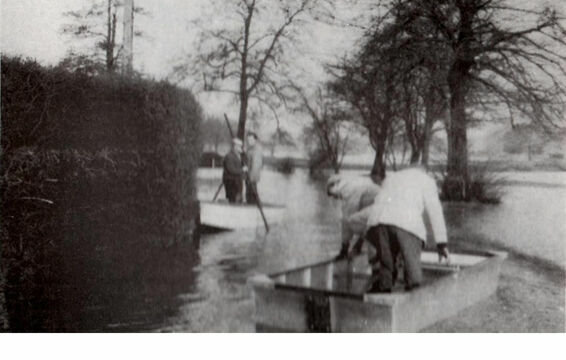 It was only in the mid sixties that reconstruction of the whole of the river bank adjacent to the course was completed. 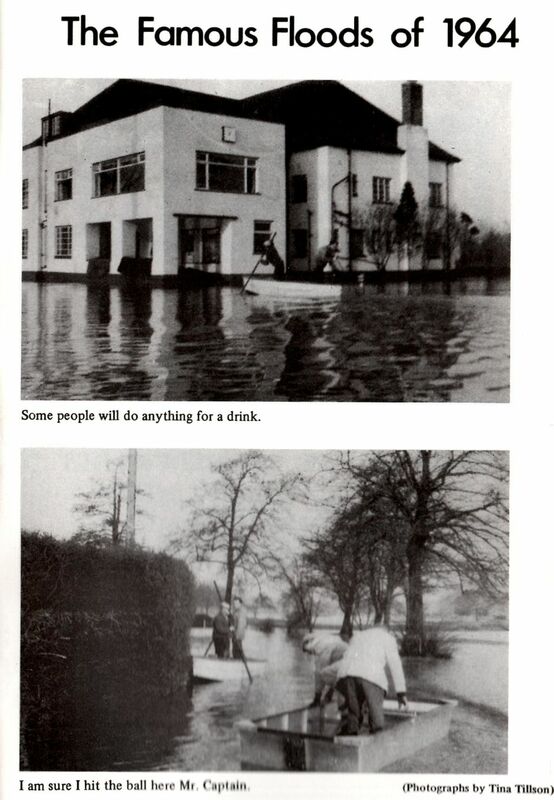 Unfortunately, this was not in time to prevent the massive flood of December 1964 when the Mersey breached an incomplete area of construction and put clubhouse and course under several feet of water. The course was not to reopen until May 1965 when all the silt deposits had been removed. 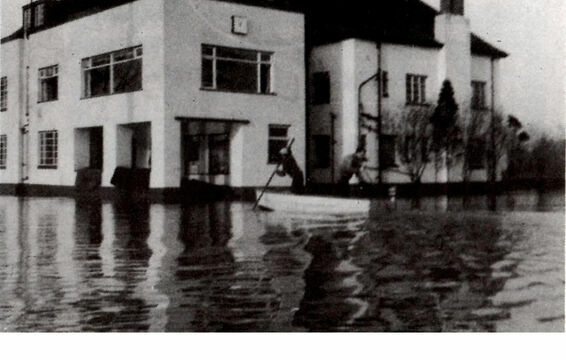 If the flood was a big disruption to club activities, then the loss of land by Compulsory Purchase Order in 1969 to build the M63 motorway was even greater. The first five holes were lost but other land was secured resulting in a complete redesign of the course by Peter Alliss and Dave Thomas. After much improvisation during reconstruction, the new course was officially opened in 1973. 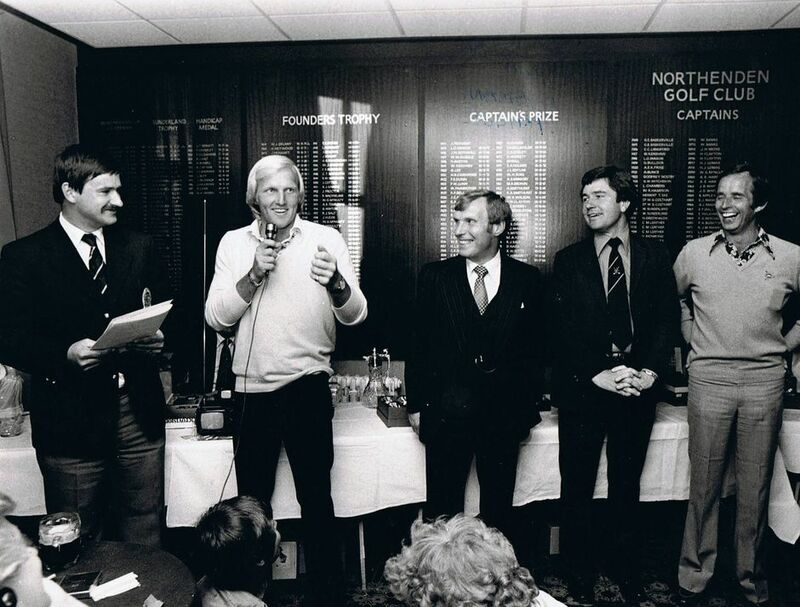 NGC experienced its halcyon period from 1978 to 1988 during which time, with the support of the PGA, it staged a series of Pro-Am tournaments featuring high profile names such as Nick Faldo, Sam Torrance, Sandy Lyle, Tony Jacklin, and Greg Norman to name but a few. 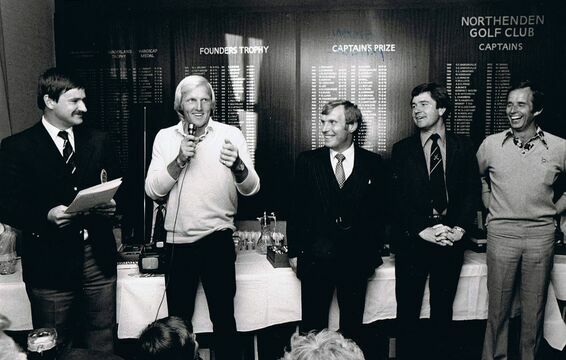 The image to the left shows Greg Norman making a speech at a Pro-Am in 1980 and features (from left to right): John Paramor (Rules Official with the European Tour and currently its Chief Referee), Greg Norman (ex World number 1 golfer and twice Open Championship winner), Noel McFarlane (NGC Captain), Max Brown (NGC member and tournament co-organiser with Monty Milner), John Spencer (three times World Snooker Champion and previous Pro-Am tournament winner). The new course record of 67 was set by Christy O’Connor Sr. in the first (1978) event, to be surpassed in these tournaments by Vicente Fernandez of Argentina in 1986 who shot 66. The prize money available escalated from £3400 in 1978 to £15000 in 1988, the latter figure equivalent to over £40000 today. 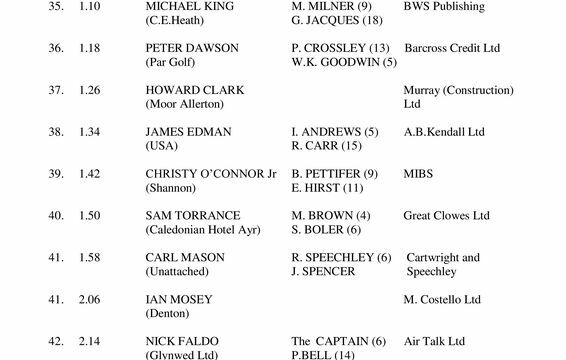 However, the course record of 64 gross, from the white tees, was set in 1983 by the then Northenden GC professional, Denis Durnian. 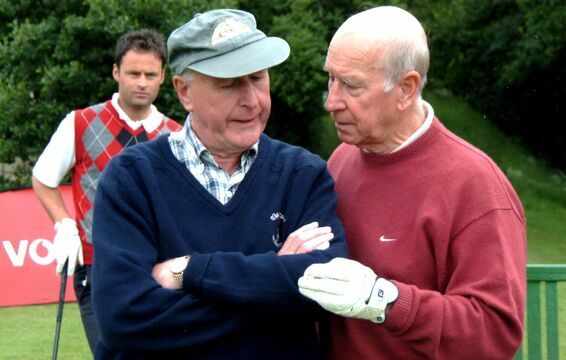 But Denis achieved a rather more impressive record that same year when playing in the British Open at Birkdale where he shot 28 for the front nine, a championship record still standing today. He also represented Great Britain four times in PGA Cup matches against the USA. 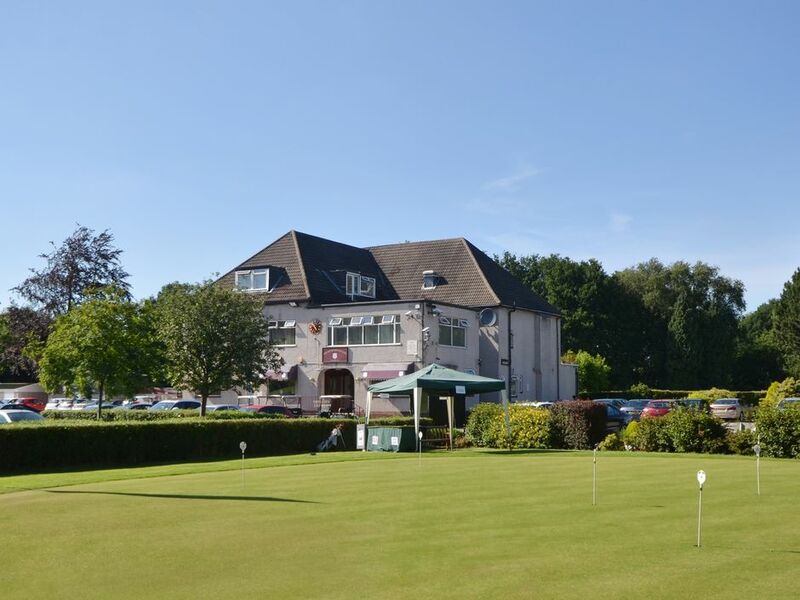 Another Northenden GC professional, Paul Wesselingh, who was at the club in the early nineties, has been playing the European Seniors Tour for the last three years and has achieved great success with seven victories so far. Despite the extensive work to protect the course from the River Mersey, the greens were still prone to retain water after heavy rain so in 2006 the club took the bold decision to rebuild all 18 greens to USPGA standard and to restructure the drainage system at a cost of almost half a million pounds. This has enabled the greens to remain playable throughout the winter months without the need to resort to temporary greens, a considerable asset to the club. 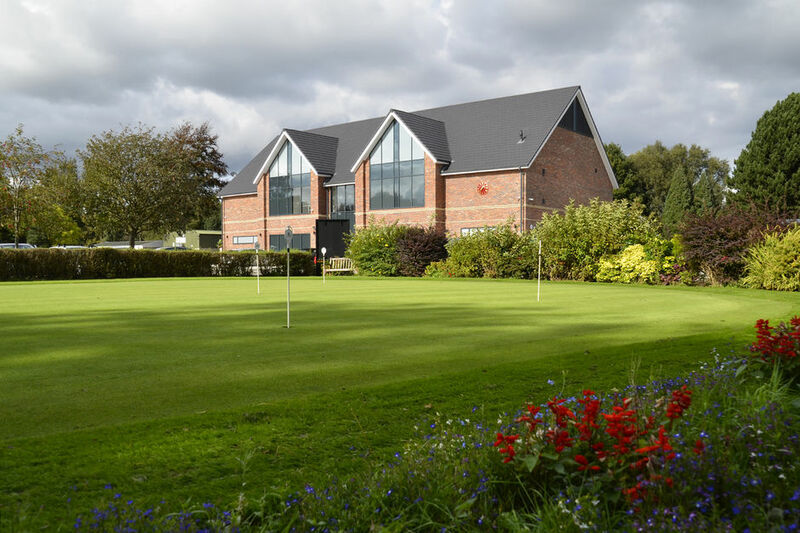 Northenden Golf Club also has a strong connection to Manchester United Football Club, many of whose players have been, and indeed some are still, members of NGC. 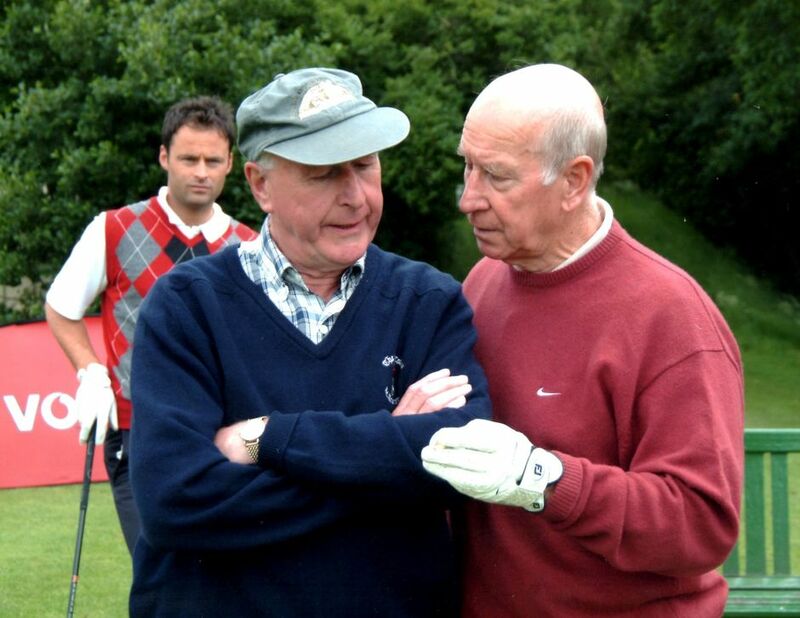 To the left Peter Hinsley, NGC member and official starter, is in deep conversation with Sir Bobby Charlton on the first tee at the AFMUP event in 2005. The Association of Former Manchester United Players (AFMUP) has staged its annual charity day at Northenden since 1985 and the club has been proud to have been able to contribute to the generation of the many donations raised from the events. During that period, Sir Matt Busby became an honorary president of NGC. His son, Sandy Busby, became the formally elected president in 2012 and was in office for the club’s centenary year in 2013. The centenary year was shared with three other South Manchester clubs, Sale, Hazel Grove and Davenport, and was jointly celebrated with the organisation of several inter-club competitions and social events. The good feeling brought on much optimism regarding the next 100 years but no one was to foresee the terrible loss of the clubhouse by the fire in October 2014. However, the magnificent efforts of members, particularly the Directors, ensured that the club continued to function while the construction of the new clubhouse took place. The building work was completed by the end of June 2016 and on 19th July 2016, it was officially opened by Jamie Donaldson, European Tour winner and successful Ryder Cup golfer. Course closed until status changes to inform otherwise. 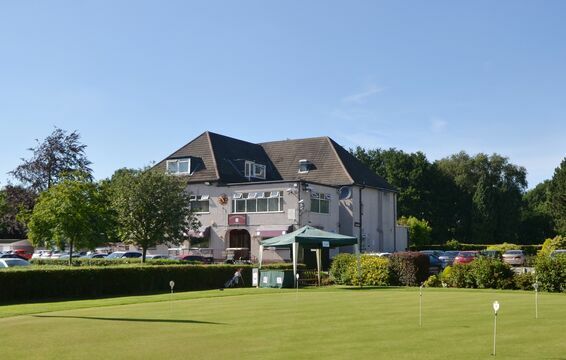 Join Northenden Golf Club for as little as £495! New visitor rates put in place for winter 2014. Gents & Lady Captain's are driving in for their new terms.